What are the Latest Trends in Benefits Strategies? Dave Ulrich Support Act - South America ~ HR to HR 2.0 and. Kevin reiterated that tech’s role is to augment the human resources function, not replace it. Choosing to use human resources tech doesn’t end with buying the solution; businesses have to focus on adoption and utilization strategies. HR functions need to balance their investment in talent management with more focus on organisation design. Strategies for getting your less co-operative colleagues on-board. Raise your hand if your LinkedIn feed is not filled with titles like “how virtual reality will revolutionize HR.” From educating new hires on company procedures to improving current employees’ skills, training is a critical aspect of any business strategy but the typical training session angles toward an inefficient use of time for employees without significantly improving skills. Read this article on the HR Tech Outlook website. It goes without saying that great HR functions are strategic: they play a vocal role in critical business decisions and control a significant portion of a company’s expenses. Yet the most commonly monitored HR metrics do very little to deliver true insight into the workforce. It goes without saying that successful HR functions are strategic: they play a vocal role in critical business decisions and directly manage or impact a majority of most companies’ expenses. Recommended Read: The Rise of the People Strategy Platform ]. Many large organizations like Deloitte and GE recognize the roles HR and branding together play in the wider business, but many smaller companies have yet to take advantage of the links between HR and branding. Building Brands from the Inside, Out. What is a brand? It goes without saying that successful HR functions are strategic: they play a vocal role in critical business decisions and directly manage or impact a majority of most companies’ expenses. Recommended Read: The Rise of the People Strategy Platform ]. This has led to a gulf between the data that CEOs need to run the business effectively and what HR routinely reports on. Bridging the Gulf Between People and Business Strategy. Now is a great time to be in HR. 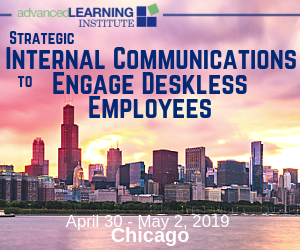 Biro, will discuss the critical importance of why talent acquisition and business strategies, for any brand, must align to create a productive culture that will support and sustain brands in the present and for the future. Talent Strategy Alignment. 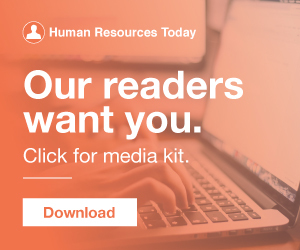 I am a “HR trends addict” What usually fuels my addiction are studies like the Deloitte Human Capital Trends Report and the Mercer Talent Trends Study. I am intrigued by what executives and HR professionals believe are their current and future priorities. This year our Talent and HR predictions for 2015 has some important new ideas to consider — in this article I will give you some highlights, and you can download the report here. The concepts of “integrated talent management” are rapidly changing, with many HR practices being reinvented. In our HR Redefined series, we give innovators a medium to share personal reflections, professional advice, and best practice guidance. The following has been adapted from a presentation given at HR Redefined 2018 by Summer Salomonsen , Chief Learning Officer at Grovo. For an individual, the objective might be to “Research all relevant HR certifications and register for the exam before the end of the year.”. What are the business outcomes for HR? The way to create a high performing HR function is by focusing on business outcomes. Most employers agree that managing benefits is increasingly complex, which explains the tremendous growth in outsourced technology for HR. The 5th annual Guardian Workplace Benefits Study found that 8 in 10 employers outsource at least 1 benefits-related function. For many HR professionals, the first week of January is the beginning of a very busy period depending on when your fiscal year begins. It also usually represents the beginning of your annual HR strategic plan. 2017 HR Strategy Best Practices. 2017 HR Strategy Ideas. 23 HR Most Influential UK Thinker 2011. The HR Capitalist. 5 Things Every HR Pro Can Learn From Riley Cooper and the Eagles. Employee Engagement Strategy: What’s Your Story? Listed in SHRM Indias Top 20 Indian #HR Influencers Active on #SocialMedia. HR role. This is especially true for HR professionals who play a key role in today’s enterprises, tasked with identifying the employees with the right skill-set, nurturing and managing capabilities at a more macro level, with the ultimate goal of leveraging employee capabilities strategically. As a Principal in Ernst & Young’s (EY) People Advisory Services practice, Eric Biegansky is a leader for the firm’s transformational change function, advising clients’ organizational design, talent, and people strategy agendas. HR needs to be part of that conversation as well. Differentiation is a strategy that segments the workforce into defined categories such as individual performance, key skill sets, key geographies and/or business units. Make Total Rewards an Organizational Philosophy Not an HR Program. Porter, Harvard Business School professor, author, and expert on competitive strategy defines strategy as “the creation of a unique and valuable position involving a different set of activities” (1996). Take ownership of your HR technology strategy. Michael E.
An HR analytics maturity model such as the one illustrated in figure 1, can bridge the understanding of an organization’s current state and determining future vision in this area. The post Here’s how talent analytics is revolutionizing people strategy appeared first on Analytics in HR. Despite all of this self-inflicted pressure, HR still plays a critical role and it has nothing to do with making sure the employment records are neat and tidy for the next Joint Commission survey. The world of #HealthcareHR is full of excuses. It goes without saying that successful HR functions are strategic. 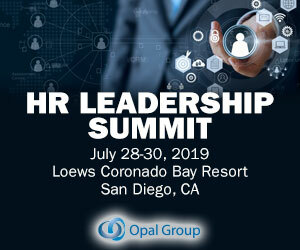 Organizational Leadership Strategic HR Strategy Featured people analyticsThey play a vocal role in critical business decisions and directly manage or impact a majority of most companies’ expenses. Walsh] In the last decade, HR professionals have seen the amount of data they oversee proliferate. A great HR example is around compliance auditing. The future for ML in the HR space is full of use cases that are ready to make this next leap in data driven innovation.